The Vrbas River basin in BiH is characterized by a large rural population comprised of the poorest and most vulnerable communities in BiH, including war returnees and displaced people, with high exposure to flooding and its devastating impacts. 20 May 2016, Banja Luka, Sarajevo, Bosnia - A NAP orientation workshop for Bosnia and Herzegovina was conducted for representatives of 41 organizations, including 15 ministries from three national entities; Federation of Bosnia and Herzegovina, Republica Srbska and Brcko District. The workshop objectives were to advance understanding of the NAP process amongst country stakeholders, and enhance the active support of key national and subnational institutions for the NAP development and implementation. The NAP workshop was part of a NAP- support mission, which was conducted from 9-20 May 2016, with a workshop in Vlasic, and field trips to the most flood affected municipalities of Maglaj, Doboj and Canton of Zelnica. Meetings were held with key national institutions and local governments, including two municipalities (Maglaj and Doboj) most affected by climate events in the past two years. 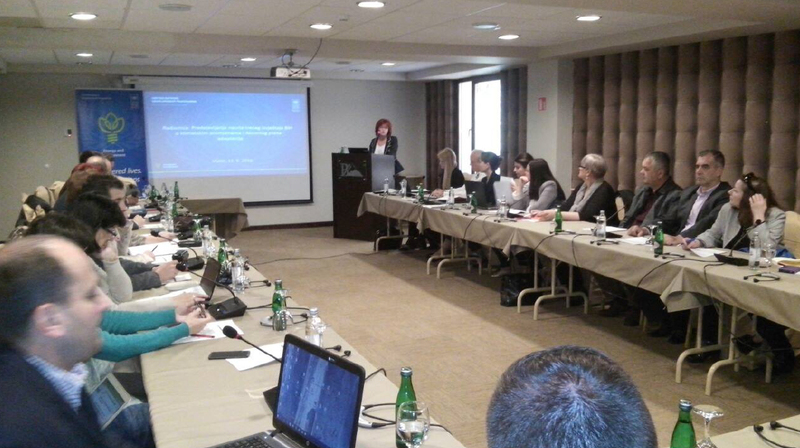 At the orientation workshop, the NAP formulation experiences from the neighboring country of Serbia were shared with participants, and the current status of CCA planning in priority sectors in Bosnia were presented. Support for the NAP process will focus on facilitating mainstreaming of climate change adaptation, and establishing good horizontal coordination among the line ministries as well as vertical coordination of development plans. Practical implementation will involve subnational governments, cantons and municipalities. The next steps will be to prepare stocktaking summary report by the end of July 2016, formulate a NAP roadmap and medium-term (2-5 year) action plan by end of September 2016. This will be followed up by a second NAP-GSP mission, with the objective to finalize the proposed roadmap and provide further NAP guidance in October 2016. Bosnia and Herzegovina is significantly exposed to the threats of climate change, but has very limited capacity to address and adapt to its negative impacts. In particular the frequency and magnitude of floods from its major rivers have tripled in frequency in the last decade. The negative impacts of climate change particularly affect key sectors such as agriculture and energy.